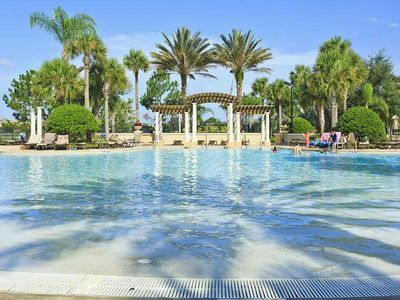 Whether you are planning a family vacation, a friends getaway or an extended business trip, our home is the premier destination for your stay! 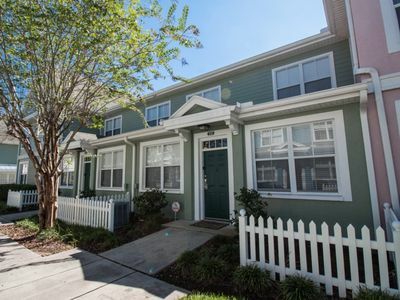 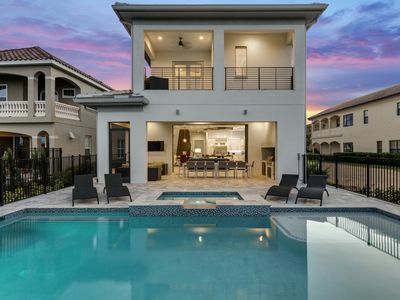 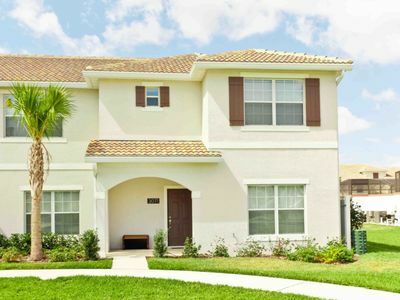 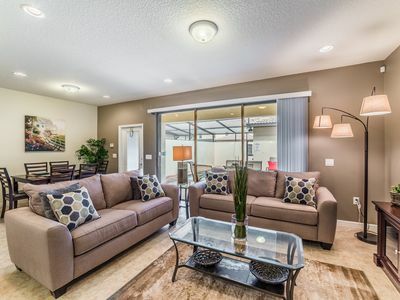 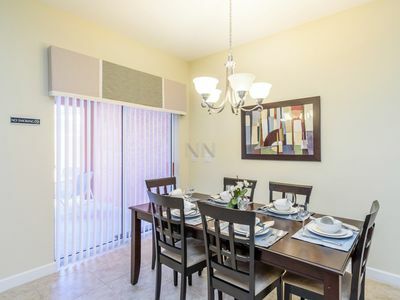 Located in Kissimmee - Florida, just 17 miles from Orlando International Airport, 6 miles to Disney World, 8 miles to Universal and minutes to Orlando Convention Center, championship golf and more! 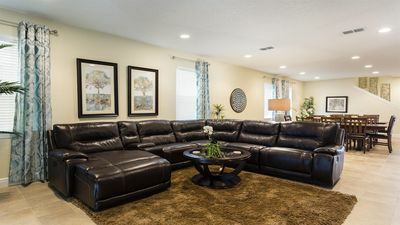 This is a great home and for sure you and your guests will have a great time! 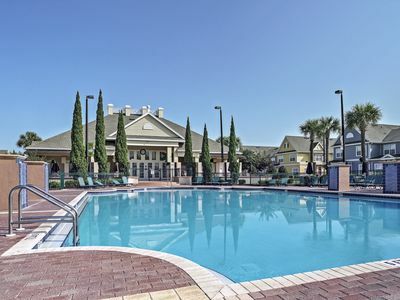 Resort Amenities include: Secure gated community, heated swimming pool with designer water feature and hot tub plus 3 village pools, secure gated playgrounds for toddlers and older children. 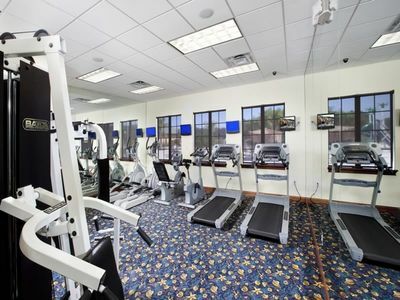 Clubhouse with games room, fitness center, computer library, conference room, Tennis, basketball, volleyball, car wash, Movie theater/meeting room, BBQ area with picnic tables. 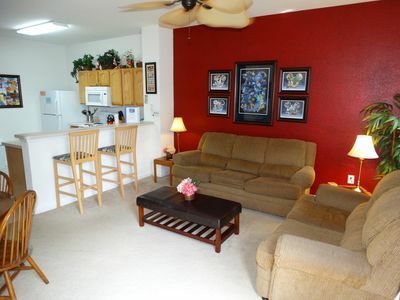 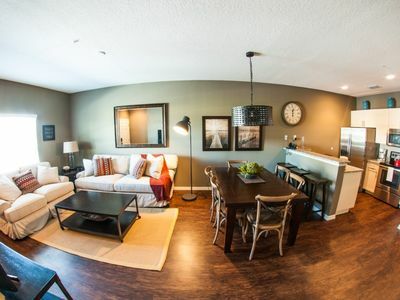 Wireless Internet and just 1/2 mile to grocery store, shopping and dinner theater. 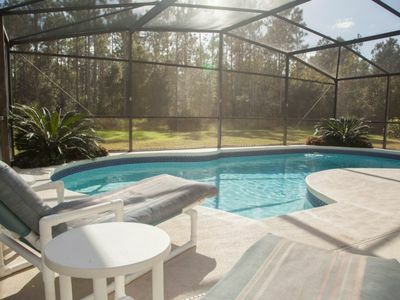 If you’re ready to vacation like a celebrity, look no further! 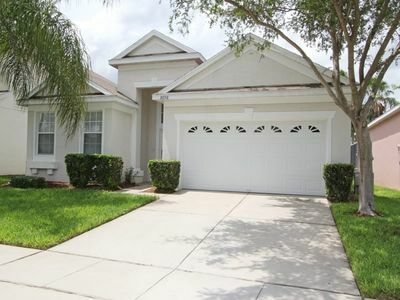 Windsor Hills SOUTH FACING POOL Private End Unit Disney Decorated Townhouse! 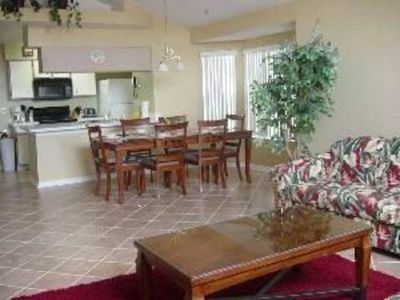 (4PPT89CA75) Amazing 4 bedroom Paradise Palms vacation home! 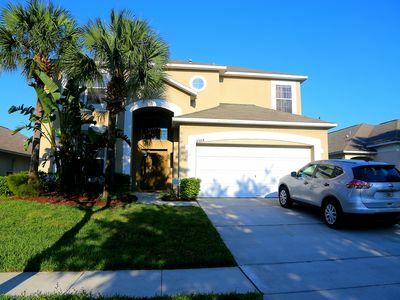 ⭐CLASSY RESORT⭐SPACIOUS 8 Bed Villa Pool/ Spa/ Wii/ Baby Ready/ Near Disney!